We kick off the HIFF fall season with the official HIFF MEMBERS SNEAK PEEK, as we present an advance screening of South Korea’s official foreign language entry to the Academy Awards, BURNING, directed by Lee Chang-dong (OASIS, SECRET SUNSHINE). Synopsis: Based on the Haruki Murakami short story and adapted for the screen by South Korean auteur Lee Chang-dong. 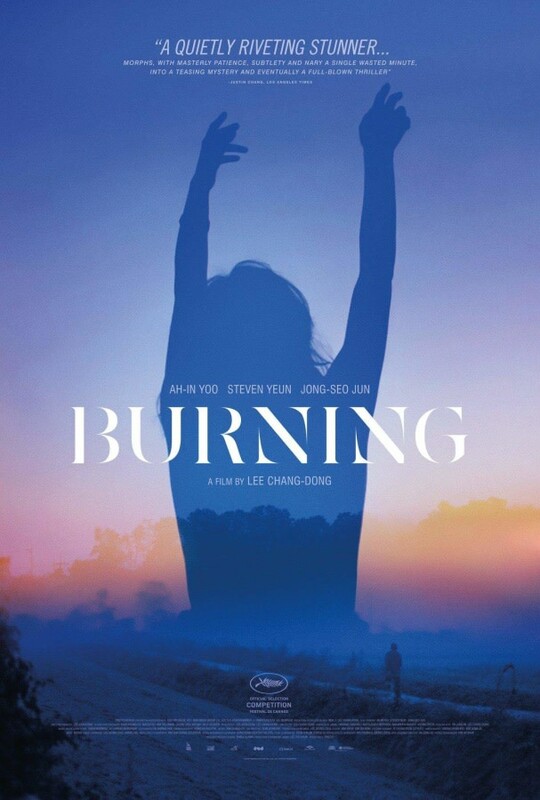 BURNING is the searing examination of an alienated young man, Jongsu (Ah-in Yoo), a frustrated introvert whose already difficult life is complicated by the appearance of two people into his orbit: first, Haemi (newcomer Jong-seo Jeon), a spirited woman who offers romantic possibility, and then, Ben (Steven Yeun, THE WALKING DEAD, SORRY TO BOTHER YOU), a wealthy and sophisticated young man she returns from a trip with. When Jongsu learns of Ben’s mysterious hobby and Haemi suddenly disappears, his confusion and obsessions begin to mount, culminating in a stunning finale.